Buying a mattress is an important investment into your health and future. From comfort choices to budget constraints, knowing how to choose your next mattress online guarantees the best decision for your slumber. The online mattress companies are a breath of fresh air, no doubt! But, this newer way of shopping has its own challenges. Narrowing down to your dream mattress online is not a walk in the park anymore. With 100s of startups venturing into the $15 billion mattress industry, the choices are numerous. Let us help you look beyond the marketing gimmicks of online mattress stores and the numerous choices they offer. You will also find handy tips to simplify your hunt for the perfect rest. 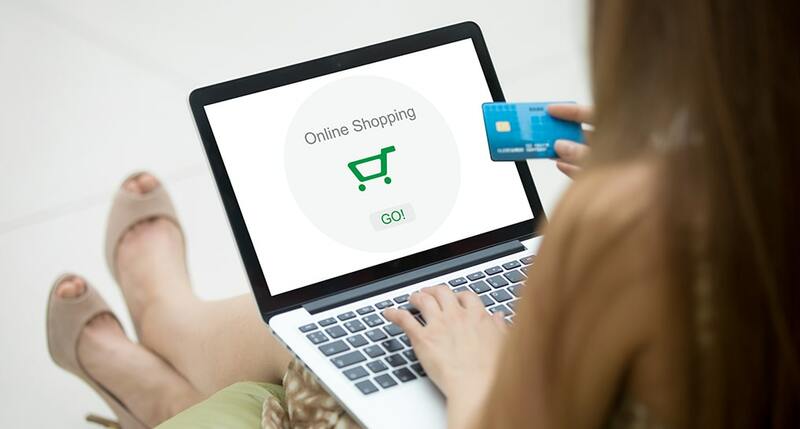 Lastly, we introduce you to some exciting perks of online mattress shopping and how you can make the most of your online purchase. Should You Buy Mattress Online? For some people, not being able to try the mattress before a purchase is a difficult transition from their traditional way of shopping. There are many benefits of buying a mattress online, no doubt! Online mattress stores have made mattress shopping convenient. You no longer have to buy a mattress after lying on it once and then live with that choice. Instead, you can take an informed decision after proper research. Many mattress websites have questionnaires to help you align your preferences with the products they offer. No pressure from the salesmen and no rush to make a decision. Once you get the mattress of your choice, test it from the comfort of your own bed, night after night, till you're sure if its a YAY or a NAY for you. Not convinced to buy a mattress online without even touching it once? If you think online mattress shopping is not your cup of tea, visit SleePare showroom. You can test many online mattresses without any salespersons pushing you for a purchase. Lie on the mattresses and see how it feels. Once you're happy with a selection, you can order the mattress online and enjoy all the perks of online mattress shopping. Despite the ease of online shopping, selecting your dream mattress for the best price can still be challenging. With a plethora of choices and each mattress brand claiming excellence, you need proper research to make a wise decision. These quick tips will help you select the best mattress online and make an informed choice. Know what you want: Before you begin exploring your choices, you need to zoom in on the features important to you. Budget and durability are usually the deal maker or breaker. Comfort and support are the most significant factors for all. Temperature regulation is crucial, especially for hot sleepers.Heavier persons need to consider mattress thickness and presence of deep compression support. Lumbar support is essential if you suffer from low back pain. These are some of the things to look for in your next mattress. Know what you absolutely must have and what you can sacrifice before you even start to compare mattresses. Understand the Available Choices:We admit… the zillion choices in the online mattress market are baffling. But, for a wise decision, making sense of your available options is crucial. 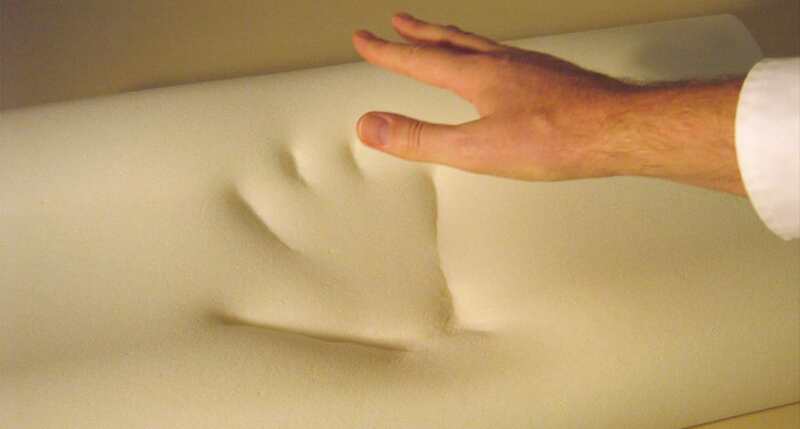 Despite some unique properties, mattresses have many common features. The primary material used in mattress construction dictates the comfort and support it provides.Companies are layering materials and developing new technologies to push the boundaries for your sweet sleep. However, most online shops facilitate comparison shopping. Their websites have tables comparing their product features to highest rated mattresses on the market. Others have comparison tools to help you with analysis and find the best value product. Look for Customization:Some online mattress brands allow you to customize the mattress to fine tune comfort and support. If you are unsure of your required mattress firmness, check out the beds with adjustable firmness or customizable mattresses. Companies like Morphiis make beds with foam layers that can be rearranged to get the desired comfort level. If your mattress is customizable, you can achieve the precise feel you want for your dream bed. Compare Shipping, Return, and Warranties:The warranty duration differs based on the material and mattress construction. The standard warranty duration for mattresses is 10 years and a 100-night in-home trial. Some brands offer a 120-night trial. Others like Nectar are so sure that you'll love their mattress, they offer you an astonishing 365-night risk-free trial.Similarly, while most online mattress companies deliver your bed for free, some may charge you some nominal fee. Figure out all these side expenses before clicking that order button. Customer Support:Customer support is an important facet of any kind of online shopping. The more responsive the customer care personnel, the better help you may get should you need it. Call them and ask questions and see how eagerly they respond. It indicates the level of service you may get if you claim warranty, replacements, returns or refund. The mattress industry is booming with numerous online brands. 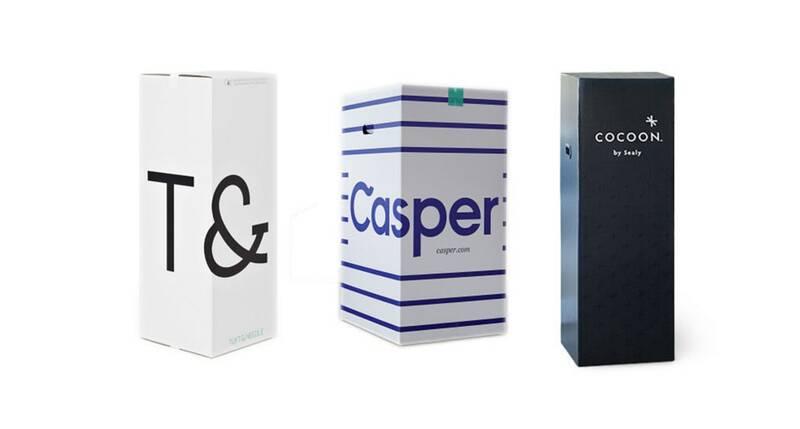 To claim excellence, these companies use innovative materials and new technologies to bring you the best night's sleep. 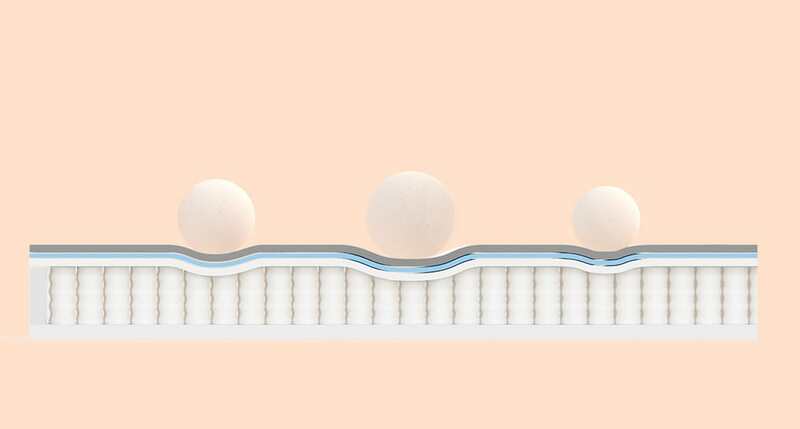 We have explained the predominant mattress types and materials in this guide to help you understand your options better. Memory foam is the highest rated, luxury mattress material. It provides you dreamy comfort, molding your curves and filling the gaps between the bed and your body. The spinal alignment on Memory foam remains perfect in all sleeping positions. With exquisite pressure-relief comes pain-free, rejuvenating sleep. Your blood circulation improves, and you reap all the health benefits of a deep, sound sleep. Memory foam mattresses are more durable than the traditional innerspring beds. Nectar by Nectar Sleep is a four-layered mattress with a Memory foam comfort and a subtle bounce. It is the highest rated mattress for pressure-relief and support. The presence of gel Memory foam keeps the sleep surface cool so you may enjoy a refreshing slumber. If you seek a durable yet cheap mattress online, Nectar is the perfect choice for you. Nectar Sleep is one of the best places to buy a mattress online. Layla by Layla Sleep is a four-layered reversible mattress with a soft side and a firm side. Both flippable sides are infused with copper for a cool and clean sleep surface. The transition layers offer exceptional comfort. The Layla mattress provides outstanding support, relieving joint pains and muscle stiffness. If you seek a budget-friendly Memory foam mattress with the freedom to choose the firmness whenever you want, the Layla is the right choice. Latex is a high-end luxury material, made from rubber tree sap. Since Latex is a natural mattress material with a chemical free composition, it is preferred by those who sought the green living. The breathable material is antimicrobial, an excellent choice if you suffer from allergies or asthma. Hot sleepers prefer latex due to its cooling sensation. Latex bed is on the firmer side and ideal for those who like to sleep on a foam surface without sinkage and contouring. It provides you a weightless sensation as if you're sleeping on a cloud. This natural latex mattress allows you to choose from four comfort levels. Moreover, you can rearrange the layers to finetune the firmness and discover your sweet spot. The company offers you a 365-night comfort guarantee so you can build the bed of your dreams. The all-natural construction makes it an ideal choice for people with allergies. The Spindle sleeps cool even for hot sleepers. Get the comfort you deserve with this cheap mattress online. Sleep EZ gives you the complete freedom to build a mattress for you and your partner. 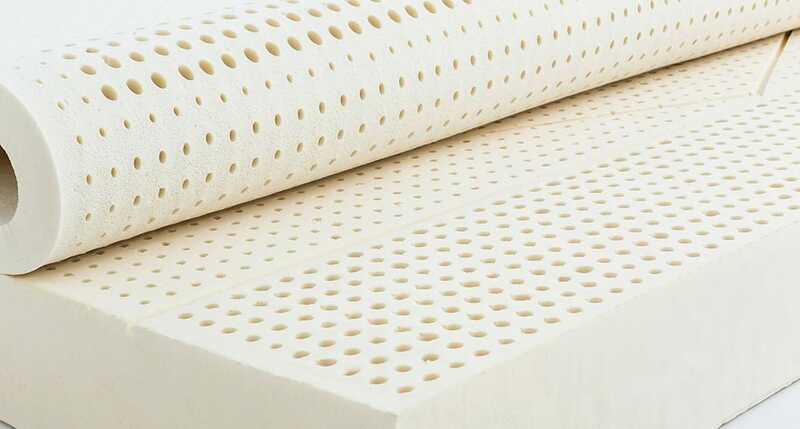 You can choose from organic or natural, Talalay or Dunlop latex for each layer. 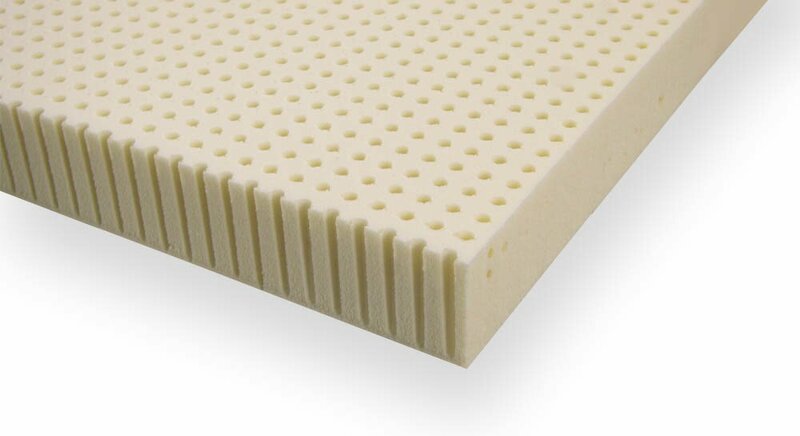 Moreover, you can select the number of layers and firmness of each foam. The split option allows you and your partner to choose separate foams and comfort levels. Once you get your layers, you can arrange and rearrange them to fine-tune your natural or organic bed to suit your sleep preferences. The 100% organic latex is a comfortable and cool foam with immense health benefits for people with sensitive skin. The innerspring is the most common mattress material used to date. It is one of the oldest mattress type, widely used even today. The online mattress companies use felt or foam above and between innerspring layers to bring you comfort and support. 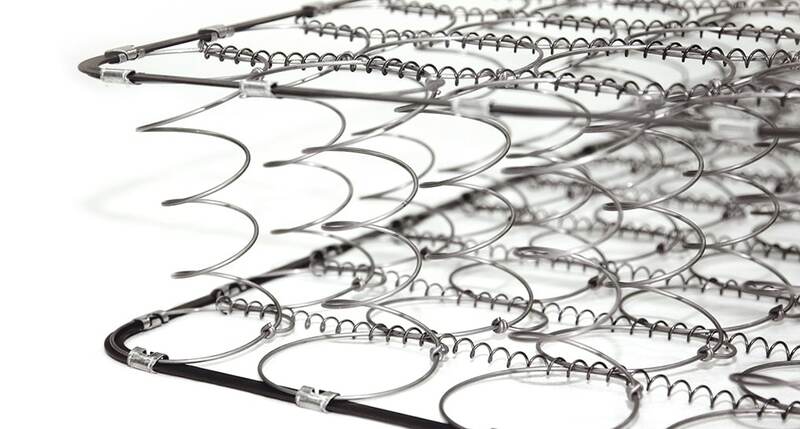 Innerspring mattresses remain cool owing to the large empty spaces around the coils. Due to their resilience, they support persons of all structures and weight. Three firmness levels and two thickness options allow you to build a mattress for maximum comfort. Saatva is a luxury innerspring mattress with two coil layers supported by a polyfoam foundation. The lumbar support keeps your spine aligned properly, making this an ideal mattress for lower back pain. The brand uses sustainable resources and strives to provide luxury at affordable mattress price to their worthy customers. Pocketed springs are individually wrapped coils, independent of each other's movement. 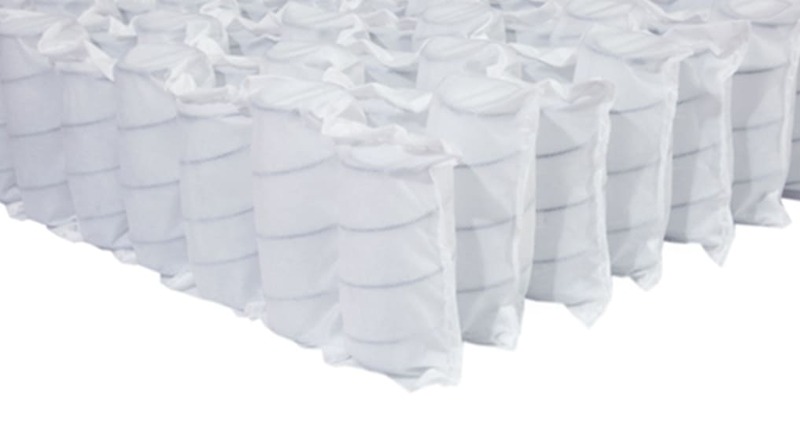 Each coil compresses according to the weight on it and thus, molds your body for outstanding pressure-relief. The cushioning sensation is similar to Memory foam but without the heat retention. Pocketed springs ventilate heat well, keeping the mattress cool and fresh. Changing sides on the bed is easy as the flexible coils adjust to your new position quickly. The more you press these resilient springs, the more they push upward keeping you on the mattress. Pocketed coils improve your posture, and release stress from joints. They make the best bed for back pain. As a result, you enjoy a refreshing and restoring snooze on pocketed coils, mostly featured in hybrid arrangements. Business Insider's top pick, Sapira features pocketed springs topped by the patented Avena foam by Leesa Sleep. The combination brings you superior comfort and support for a refreshing, cool sleep. Avena foam is adaptive and responds according to the weight and structure of the sleeper. The coils actively respond to your body, providing you unmatched pressure-relief. The Sapira is a mid-price mattress, offering a luxurious rest and a cozy slumber in all sleep positions. DreamCloud mattress gives you the exquisite comfort you experienced at your last luxury resort. This mattress blends the bounce and contouring of pocketed coils with the dreamy feel of Cashmere blend cover. With its seven-zone pressure-relief, DreamCloud is the most suitable for stomach and back sleepers. The plush foam layers resist the transfer of motion, making it ideal for couples. This responsive seven-layer 15-inch mattress provides a comfy rest to heavier persons. A hybrid mattress truly brings you the best of both worlds, the foam and the innerspring. This layering improves comfort, support, and pressure relief. For instance, you enjoy Memory foam feel and comfort, but the pocketed coils offer a subtle bounce, preventing the stuck feeling. The properties of a hybrid mattress depend on the materials used in its construction. Hybrid beds offer you the most value for money for their comfort and durability. A true hybrid mattress combining the goodness of Latex, Gel Memory foam, and microcoils to bring you the best night's rest. The elegantly designed eLuxury Hybrid provides you gradual sinkage as it molds your curves for better pressure-relief. The gel and breathable cover keep the sleep surface cool whereas latex allows you to move in the bed quickly. The best thing about eLuxury Hybrid is its uniform feel across the mattress surface and ultra-secure edges. Thus, if you have a partner, pet or kids, the eLuxury Hybrid mattress is ideal for bed sharing. Heavier persons who prefer a softer mattress find eLuxury Hybrid a viable bed for extreme comfort. A luxury hybrid mattress, truly designed for heavier sleepers. It offers four comfort levels including a 'Plus' firmness level especially aimed for sleepers above 300 lbs. The 3-zone support coil system provides outstanding spinal alignment and pressure-relief. The Winkbed is strong and durable hybrid mattress for a reasonable price. The optional coolControl system gives you the freedom to regulate your mattress temperature according to your sleep preferences. This innovative technology along with the excellent motion isolation and edge support makes Winkbed an ideal choice for couples. Some online mattress companies have introduced genuinely innovative materials and technologies. They have blended and baked materials with unique properties having both, health and sleep benefits. These mattress materials are a result of years of research and experimentation. Some offer enhanced cooling and breathability; others work on increasing pressure-relief. Some focus on reducing off-gassing while motion isolation is essential for others. Sleepers have appreciated these efforts, and some of these creative sleep solutions have gained immense popularity. This exciting mattress has neither foam nor innerspring. The Airweave mattress features Japanese Airfiber, the proprietary material with a unique interwoven design. The mattress core is breathable and light with free air passages for heat dissipation. Thus, you get to enjoy a refreshing sleep on a clean, antimicrobial sleep surface. This innovative material has a firmer feel, ideal for stomach sleepers. 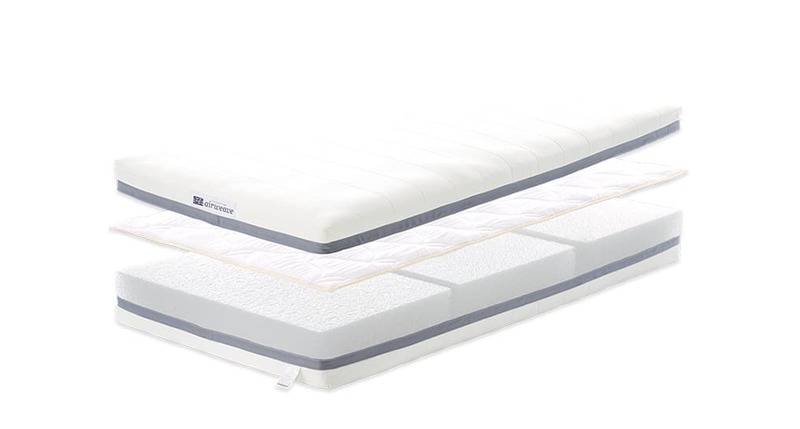 Dual mode technology of the Airweave provides you with two comfort levels in this flippable mattress. You may make your bed softer by adding an optional layer to your mattress. The innovative material used in this mattress is immensely popular among the sleepers. 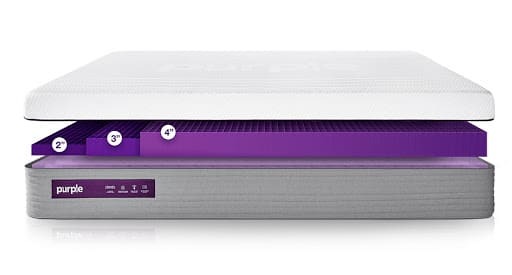 Purple.2 is a new twist to the relatively old Goldilocks mattress. It features the brand's patented Hyper-Elastic Polymer Smart Comfort Grid on top. The hybrid construction of Purple.2 is excellent for cooling and pressure-relief. This 'No Pressure' mattress has firm support for outstanding back pain relief. The presence of transition layer and pocketed coils improve motion isolation. Purple.2 is a remarkable mattress for couples, pet owners, and families with kids. The hassle of purchasing a mattress from your local mattress shop doesn't end with the selection of the right product. Once you've finalized your selection, you have to take care of its delivery as well. Then, as your mattress arrives, you've to tow it to your room, maybe a flight or two upstairs. Not to mention, the additional costs if you hire help for setting up the bed and removing the old mattress. All this quickly adds up, and the cost of getting a new mattress increases dramatically. But, not anymore! The advantages of online mattress shopping extend beyond selection and order placement. 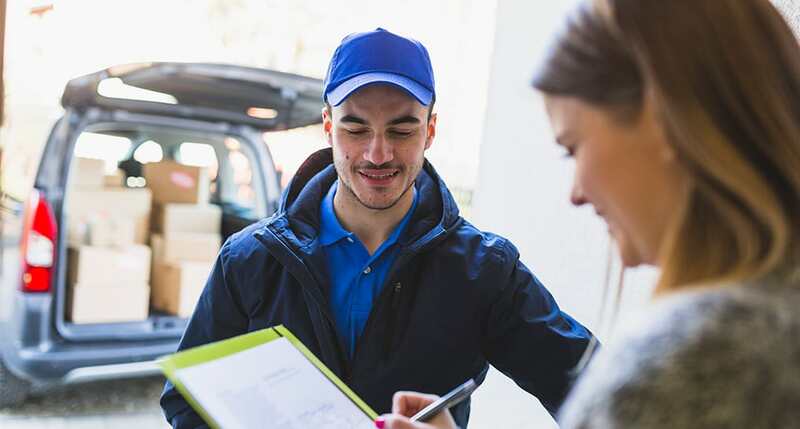 Let's discuss some benefits of online mattress delivery and essential shipping considerations before you buy a mattress online. Almost every online mattress store provides free delivery within the continental USA. However, residents of Alaska and Hawaii may have to pay some nominal surcharge. Be sure to check if your selected brand ships to your address. Returns and exchanges are also often free. But, some brands do incur delivery charges or a fee on returns.Thus, while calculating total mattress price, you need to figure out these additional charges too. The best thing about online mattress shopping is that these return and refund policies are mentioned explicitly on the brand websites. Hence, you can make your selection and purchase without fearing any hidden costs. 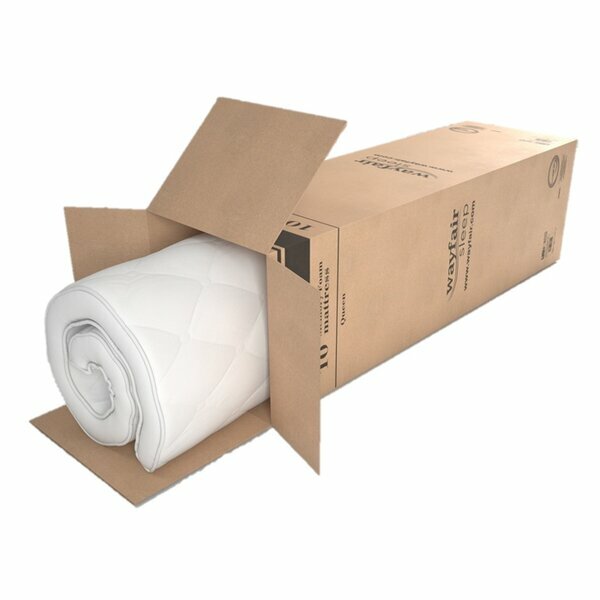 The bed-in-a-box delivery of online mattresses certainly saves a lot of headache… and backache. The compressed beds are easy to handle and maneuver across the nooks and crannies of your apartment building, staircase, and home. A mattress-in-a-box is easy to lift and move. Once you unbox the mattress, throw the compressed bundle on your bed, cut open the packing, and see your mattress rise to its full glory (height, that is). >To win the brownie points for customer care, some mattress brands offer you free white glove delivery. So, while you lounge in your sofa, the delivery experts set up your mattress in your bedroom for free. They bring the mattress in, move any furniture required, set up the bed, and remove the packing as they leave. Some companies, on the contrary, offer you optional white glove delivery for a small fee with complimentary old mattress removal service. Does your local mattress shop provide such convenience? Removing your old mattress can be a great hassle. You either have to haul it off for disposal yourself or pay someone else to take it off your hands. For this reason, some online brands offer old mattress removal service as a complementary part of paid white glove delivery or vice versa. Yet, a few mattress brands offer a full delivery deal, complete with free white glove service and old mattress removal. Now you know how to choose your next online mattress with the best value for money. Visit SleePare to make comparison shopping easier for you. Filter products for popularity or affordability and discover exciting deals and discount coupons. Read mattress reviews to get a better insight into the customer reports and mattress ratings. Can't finalize a purchase without lying on the mattress first? Visit SleePare showroom to test hundreds of products from various online mattress companies. Test them in the showroom and make the purchase online with complete peace of mind.